Holiday shopping doesn’t need to be stressful or come down to the last minute. For instance, you can stuff stockings and cross names off your gift list by loading up on driving accessories. There’s no shortage of items to choose from. Shoppers could spring for the latest tech, like a dash camera that records both inside and outside the vehicle. Others may opt for something tried and true, like car care products or a flashlight. AAC BLU TPMS. This aftermarket tire pressure monitoring system senses the pressure and temperature of tires via Bluetooth sensors. The technology works with Android and Apple smartphones, allowing drivers to receive push notifications when their tire pressure drops below a predetermined amount. Small and lightweight, the system creates a negligible effect on tire balance. iBEAM Vehicle Safety Systems’ Dual-Lens Dash Cam. Capable of recording both inside and outside the vehicle, this dual-lens dash cam records video in 1080p and can connect via Wi-Fi for remote viewing. The camera plugs into a 12V outlet and records up to 32GB of data. The built-in screen allows for viewing while recording, as well as immediate playback, and a sliding 3M tape mount makes for easy placement. The device also includes a built-in G-force sensor, which detects collisions and automatically locks the captured video to prevent it from being overwritten. Detail Guardz’s Dirtlock Bucket Insert. Made in Canada, this helpful device rests at the bottom of your washbucket and separates dirt and debris from your wash mitt. The Turbine Dirtlock uses fluid dynamics to create a downward suction effect. Each time you move your wash mitt in the bucket, the device pulls debris and traps it under a screen. This gives you clean, filtered water to re-use and safely wash your vehicle with, without scratching your paint or dulling the surface. E-Z UP, Inc’s., Endeavor Shelter. This portable pop-up shelter comes in three sizes, making it an ideal accessory for campers or tailgaters. Custom-printing is available to the shelter that offers a heavy-duty frame. The Endeavor shelter features octagonal-shaped legs 2 inches in diameter, as well as additional stabilization points for durability and strength. If you want something more traditional, here are some tried and true accessories for the driver in your life. LED headlamp. Truly indispensable when trying to change a flat tire at night, an LED headlamp keeps the users arms free to tend to the tasks at hand. LED headlamps also prove useful on camping trips and other evening excursions. Lanterns are another helpful luminary accessory for frequent campers--or anyone stranded roadside at night. First-Aid kit. Utterly necessary and readily available, a first-aid kit is an invaluable addition to any trunk. Well-stocked kits include bandages, scissors, gauze, antiseptic wipes and other basics. Also consider adding extras like a disposable camera, notepad and pens, which could prove handy when reporting a collision. Car care products. Washes and waxes, polishes and protectants, microfiber towels, and brushes, deodorizers and air fresheners, the average gift-giver has plenty to choose from. 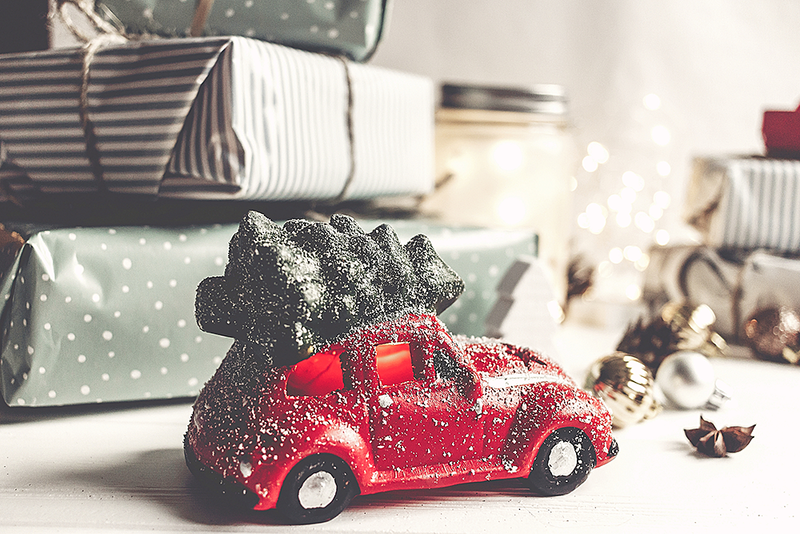 Manufacturers often create special packages this time of year, allowing you to get a better price on car care products. Polarized sunglasses. How important are sunglasses to driving? Hard to quantify, except for the countless of us who will run back into the house if we forget them inside. Look for polarized lenses, which are best for reducing glare. What color? Experts say amber lenses are ideal because the shade is dark enough for protection in sunlight but light enough to still function well in the shade.